Finding the right look for your holiday events can be hard between pleasing Grandma and giving dues to the geniuses behind that holiday look book you’ve been studying. A key ingredient to every holiday must, a little sparkle, as demonstrated by this Free People tank. A blanket scarf and your super dark denim will bring just enough sophistication without losing the hint of fun we all crave. If you aren’t struggling to make your mom happy is it even a holiday? 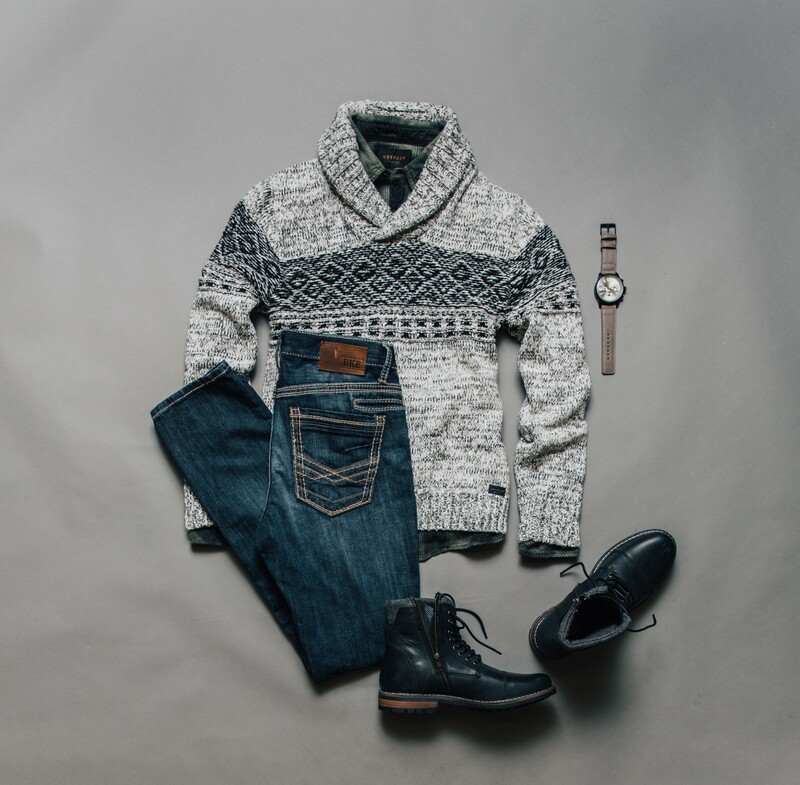 Fellas, nothing looks quite as put-together as a sweater with clean denim. Outpost Makers is working to keep things easy with this open weave sweater. A Crevo boot is the subtle upgrade your mom is looking for, plus it’s a promise you will stay both dry and warm. Faux-real, let’s take a moment to appreciate this vest. That’s the reaction this piece will snag from the girls you once box-bleached your hair with. A trip home is the best, but sometimes the stress of feeling your outfit has to represent all of the successes of the past year is a bit daunting. Whether family-related or significant other-related, documenting your holiday events on social media happens. 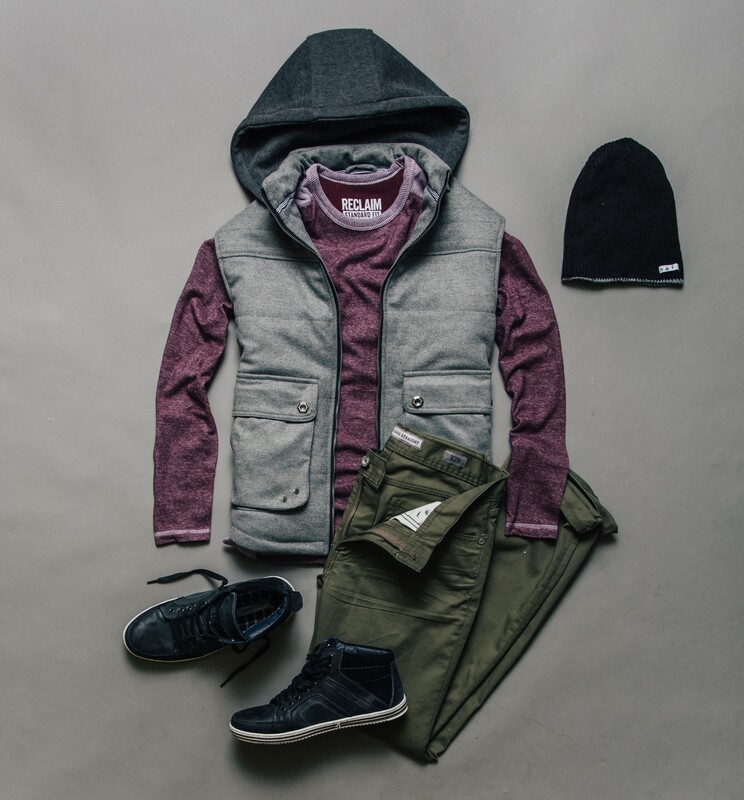 Make sure you look good, feel good, and have a couple of layers (thermal, vest) to hide all of those cookies under. End 2016 on a positive by sailing away in this Free People dreamboat. All of our favorite things are here: leather, lace, and rose gold hues? Someone’s been good this year. Now we can focus on what really matters, and all of those gifts we have yet to find.